Please log in to your BackWPup customer account. You will find your license on the page My account in the section My API key. Copy the license to the clipboard. 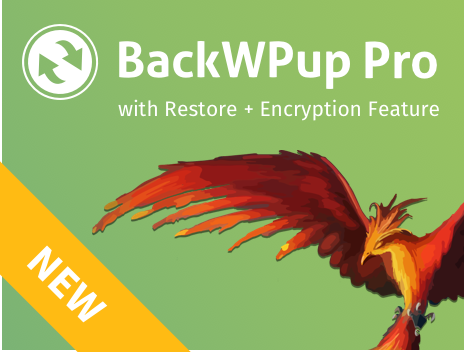 Log in to WordPress and go to BackWPup Pro → BackWPup Pro Activation. Paste the license key from the clipboard into the field API Key on the tab API Key Activation. Go back and copy the API license email as well and paste it into the field API Email. In your customer account, go to the section My API Keys or have a look at BackWPup Pro → BackWPup Pro Activation via the backend to see if your license was activated successfully. You can only activate BackWPup on as many WordPress Installations as you have licences available. If you get this error message, you already activated all licences you bought. You need to delete an activation via your backwpup.com account or via your WordPress backend before you can activate again. Troubleshooting: If you have troubles activating or deleting your licence via your WordPress backend, please check your account dashboard at backwpup.com to ensure the licence is not active in the shop on the same domain. If you see the licence activated, delete the activation via your my account and try to activate again via your WordPress backend.